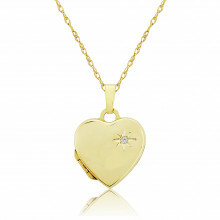 A small, sleek 'puffed' heart Pendant on a fine chain, with an off-centre Diamond and star setting. 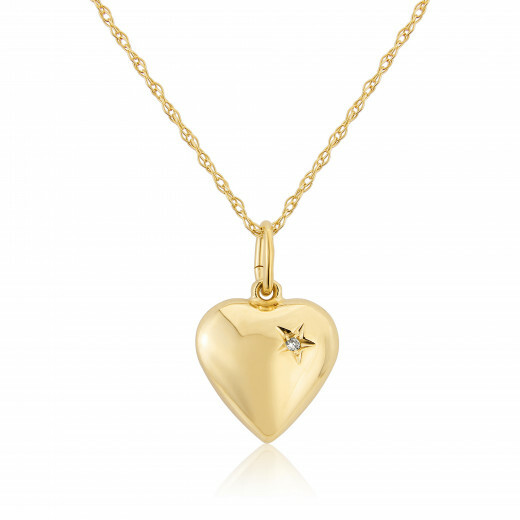 The smooth, rounded heart has a simple, modern look. A romantic and symbolic gift with a hint of sparkle and a whole lot of meaning.One of our best selling gifts.